As a sideline, I review books for a news website. My latest review is for the book: The Secret Life of Hendrik Groen 83 1/4years old. 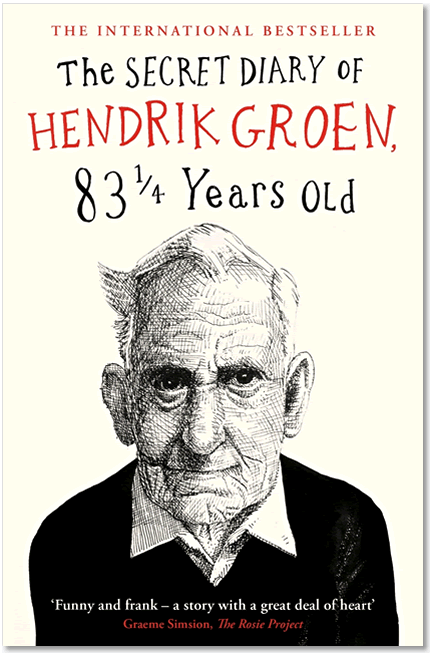 This popular book, originally written in Dutch, covers the daily tribulations of Hendrik Groen, a resident of an aged care home in the north of Amsterdam. I enjoyed reviewing this book because it takes the unusual viewpoint of being the diary of someone living in an aged care facility. It says much about the way that aged care staff, including health care workers, respond to older people. It covers issues that are important to older people - like pensions, euthanasia, losing independence. Most of all it highlights the desire older people have to enjoy the things that the rest of us enjoy (think fine food, good wine, stimulating conversation, social outings, and good friends). Some beautiful insights into the reality of aging, and some shocking insights into how we (family members, aged care workers, Governments) treat older people. Have a quick look: Review: The Secret Diary of Hendrik Groen for more information. This book should be available from all major bookstores. 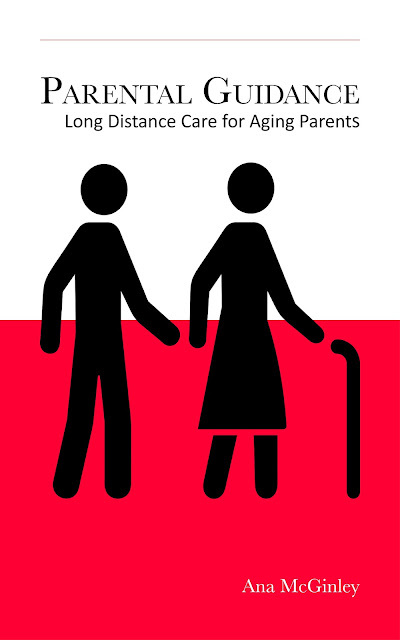 As a family caregiver you will eventually need to think about how you will care your loved one in their last months, weeks and days – and whether they will need to be moved to a hospital, a hospice or other care facility. After 15 years as an Aged Care Specialist Social Worker, I understand that most of us prefer that our family member spends their last chapter in a peaceful home-like setting surrounded by the people they love - but that many carers are not aware of what services are available to ensure that this can happen. Communication and Planning: talk to your loved one about what they want and ensure that their wishes are documented and discussed with all health professionals. 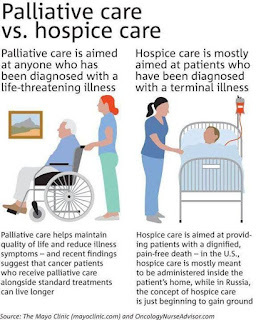 Research: Research what palliative and hospice care services are available in your local area including admission process, wait-lists, costs and limitations of service. Advocate: Be the advocate for your family member by clearly communicating their needs, likes, dislikes, - to confirm that the service they receive is the perfect fit for who they are. Although dying may be inevitable, careful planning and the right help can ensure that your loved one makes this final journey, pain-free and surrounded by the warmth of the people and things they treasure the most. Today a review for my book was published on the ACCESS website. Many thanks to Ute Limbacher-Riebold for your amazing review and recommendation! Today my father remains in hospital waiting for an available bed in a high care facility, or nursing home. His stroke occurred more than two months ago. Every day he continues to need help to complete most things he did independently prior to his stroke - like showering, dressing, getting to the bathroom, moving out of bed, eating and drinking. 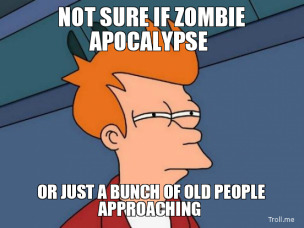 Mostly he is still confused by his situation and surroundings. Sometimes he recognises family, sometimes not. The doctors have prescribed new medications to deal with the times when Dad was acting aggressive towards family and staff. By aggressive, I mean refusing to eat or spitting back the food that was put in his mouth, being short in his verbal responses, not looking at people. He also regularly vocalises his desire to die. Hence, he now receives anti-psychotic and anti-depressant medications with his daily handful of pills. He is unable to control his movements, and now he isn't allowed to control his thoughts. Crowd control in aged care facilities is rife. By this I refer to the significant percentage of residents regularly given anti-psychotic and anti-depressant medications to keep them calm and less disruptive to other residents, staff and family members. 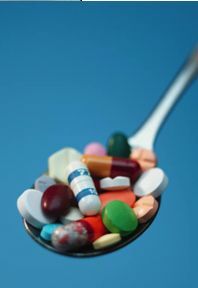 Depending on the study read, researchers estimate that up to one third of all residents are prescribed these medications. Not only does the medication turn people into zombies (unable to express emotions at will), it further decreases their independence and increases the risk of falling. My question is whether behavioural therapy is possibly a better option- then dulling older people into quietude with the use of these medications. Taking the effort to find out what a person enjoyed prior to becoming incapacitated and reintroducing this into their daily life could improve mood and reduce irritation and frustration in people with cognitive problems (eg dementia). For example - listening to their favourite music on headphones; sitting in the sunshine; walking with a companion; having something to do with their hands (painting, folding, etc) - might all be things that make a difference. Expecting someone to sit or lie quietly still as they wait out their last days, months or years is unrealistic and somewhat cruel. There are many options and the hindrance to introducing these measures in hospitals and aged care facilities is basically money. 1. Make a playlist of music that you remember your parent loving when you were a child and put this music on an IPod or other music device that comes with large headphones. Ask visitors to put on the music for your parent before they leave a visit. Ask staff to do the same at a regular time during each day. 2. Make your own audio book. Tape yourself reading chapters from a book your parent liked or would like. This can be done in 20mins sections with a short greeting from you. As above - ask that your parent be helped to set up a listening time during the day. 3. 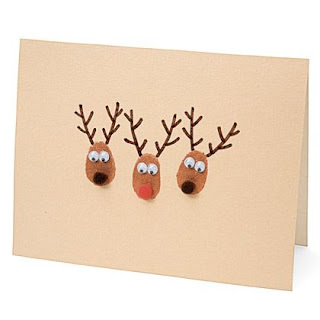 Provide a box of family photos for your parent to look through. 4. When the weather is good take your parent outside for a walk (if possible) or wheel them out to enjoy the sunshine. Moving outside of the four walls they spend most of their time confined in will help stimulate the mind and reduce feelings of being trapped. Ask that other visitors, including volunteers, to do the same. 5. Fill a fiddle box with things to touch and do, especially good for people with dementia. 6. Visits from children and pets, initially tested in short bursts, may also help. Finally, the idea is to be creative and come up with ideas that will relieve the stress of whiling away days with nothing to do. Boredom soon becomes a serious mental health problem for all humans.